Tabbouli (or tabbouleh) salad has long been a favourite of mine, and it is very healthy. Quick to make, it goes well with just about any meal. Add the boiled water to the bourghal in a small bowl and mix. Put a tea towel over the bowl to keep in the steam, and let it stand until it is cool. In a separate bowl, place the parsley, spring onions and tomatoes. Juice the fresh lemon and pour it over the salad mixture. Add the olive oil, some salt and pepper, and mix well. Put this over the bourghal, and mix well. This keeps well in the fridge for about 4 days. 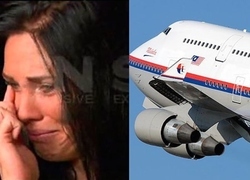 What do you think of the latest Malaysian Airlines scandal?